He empathized with her, but said that many years ago she had signed up for this ‘special program,’ called Nicor Advanced, and they were not regulated by the government. “Aren’t you Nicor?” she asked. 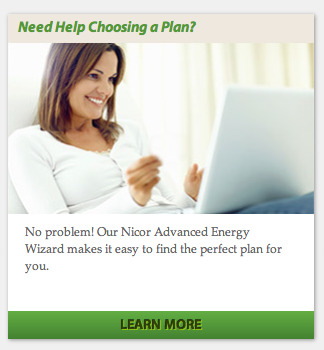 “I don’t recall ever signing up for this Nicor Advanced” she said, thinking the advance is actually for Nicor shareholders and the company, and certainly not for homeowners just trying to heat their house and pay their bills. After several hours on the phone, most of them spent on hold while listening to advertisements about Nicor, she was able to switch out of the program and into the government regulated program called just plain—Nicor. But she still had to pay the nearly $1000 bill. On top of the nearly $600 bill from last month, which she had already paid. If she had been in the government regulated program in the first place, her bills would have been AT LEAST HALF THAT. How’s that for government regulation? I don’t know about you, but I can do quite a bit with an extra $800 dollars in my pocket. Instead, my friend’s $800 went to Nicor Advanced Energy LLC, the unregulated sister company of Nicor. Could that be you ‘tea party folks’ who don’t like government regulations? The “poorly informed” people the accountant referred to who don’t want the government regulating big business? Please know Big Business likes poorly informed people who don’t want ‘government regulations,’ so they can up their charges and redistribute your income into their pockets. Wake up folks and smell your dollars going into their wallets. It’s called redistribution of money from the bottom up—or ‘trickle up,’ but perhaps better experienced by us regular folk as ‘legalized’ theft. So, what’s government regulations done for you lately? Well, for me, I got charged $ 0.46 and $ 0.68 per therm on my January and March 2014 gas bill. As for my friend, she didn’t get that. Instead, she got charged $ 0.799 and $ 1.390 per therm. She got gouged. But she learned. Not anymore. She’s liking those government regulations. How about you? This entry was posted on Sunday, March 16th, 2014 at 2:42 pm	and is filed under The Front Page. You can follow any responses to this entry through the RSS 2.0 feed. You can skip to the end and leave a response. Pinging is currently not allowed.